Meenaz Munshi is Senior Associate at IDFC Institute. Her research focuses on urban housing policy, rural development and ease of doing business in India. Before joining the Institute, she was with the United Nations Development Programme (UNDP) based out of New Delhi where she initially worked with the Senior Advisor, UNDP India Country Office and later with the International Centre for Human Development (IC4HD)–a joint initiative of UNDP and Government of India–as Research Associate. During her four and a half years at UNDP she provided research inputs to the office of the Country Director towards its various initiatives, including the formulation of the five year United Nations Development Action Framework for India, on the themes of inclusive growth and human development. She has been involved in organising several international workshops, study weeks and roundtables on themes relating to human development, cash transfers, energy access and Sustainable Development Goals. She was also part of the constitution and management of the IC4HD International Human Development Fellowships based out of Indian Institute of Advanced Study, Shimla. 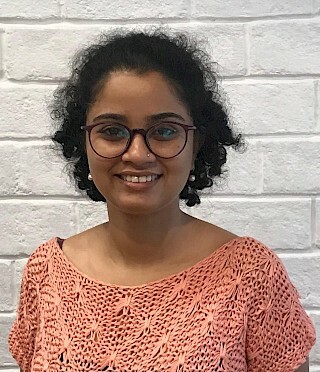 Prior to this, Meenaz worked briefly with Tata Institute of Social Sciences (TISS), Mumbai, the Annual Survey of Education Report (ASER) Centre, New Delhi and ABN Amro Central Enterprise Services, Mumbai. Meenaz has a Master of Arts degree in Economics from University of Mumbai, and a Bachelor of Arts degree in Economics and Statistics from St Xavier’s College, University of Mumbai. Ever wondered why people buy houses but keep them vacant? 11 million (1.10 crore) homes in India currently lie vacant, that's 12% of the total houses in Indian cities. A Market Review Report by Motilal Oswal quotes IDFC Institute's work on affordable housing. The potential of rental housing to meet the housing conundrum of a rapidly urbanizing India should not be ignored. Book Review of "Seeing like a State: How Certain Schemes to Improve the Human Condition Have Failed"
Partial demonetisation has ensured a substantial shift in the political discourse to economic issues.